The Department for Transport (DfT) has launched new rules enabling passengers to receive ‘one click’ compensation for delayed trains. Available by smartcard and mobile telephones, the move is part of what the department says will be “stronger obligations” for future franchises to ensure passengers are more aware of their rights to compensation. 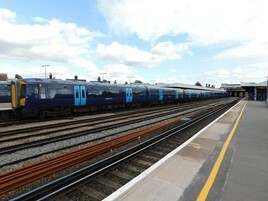 The announcement was made by Secretary of State for Transport Chris Grayling on October 1, when the DfT revealed figures which showed that 41% of passengers had experienced a delay which was eligible for compensation, and that the number of passengers claiming compensation for journeys delayed by 30 minutes or more had risen by 4% to 39% compared with a similar survey undertaken two years ago. Of those passengers who were aware they were eligible for compensation but chose not to claim, 31% said it was not worth the effort for the amount they would get back. While 46% of passengers failed to claim for tickets worth less than £5, this almost halved for those paying more than £5 for their tickets. Passengers surveyed said they were more satisfied with the form in which they received compensation, the amount of compensation they received, the method of applying for and ease of completing the claim form and the amount of information provided about how to claim compensation than two years previously. The survey found that 88% of passengers received a decision on their compensation claim within the Office of Rail and Road deadline of four weeks. However, passengers were more likely to be aware of eligibility to claim for a 30-minute delay than a 15-minute delay. Most train operators have already introduced the Delay Repay scheme for passengers when their trains have been delayed or cancelled due to signalling problems, lack of drivers, strikes, overhead line problems, 3rd rail issues, broken down trains, trespassing or serious incident. Which passengers can claim their money back or rebook their ticket to commute on the train on another day.